The world is in constant change, and the pace of change is getting faster. What’s a person–or group of people in an organization–to do? Cope effectively with all the change. Reading either of two books on transitions by William Bridges is a great place to start! Change happens quickly: your boss quits, you get promoted, or your company merges with another. Ending: Something ends. Most people experience negative emotions here: shock, anger, disappointment, and more. Productivity starts to drop, in part due to those unpleasant emotions. Science suggests that happiness boosts productivity while unhappiness lowers productivity. Neutral zone: Most of us don’t even recognize this phase exists, never mind know how to handle it well. This is the phase when we feel confused, uncertain, and impatient. We discuss this in more detail in the next section. Beginning: We start to attach to and identify with the newness that change brings. We start to feel more excitement, optimism, and comfort. Productivity rises. Bridges points out that every time you see a transition in nature, there’s a “neutral zone” where it doesn’t look like much is happening, but in fact tremendous change is happening. 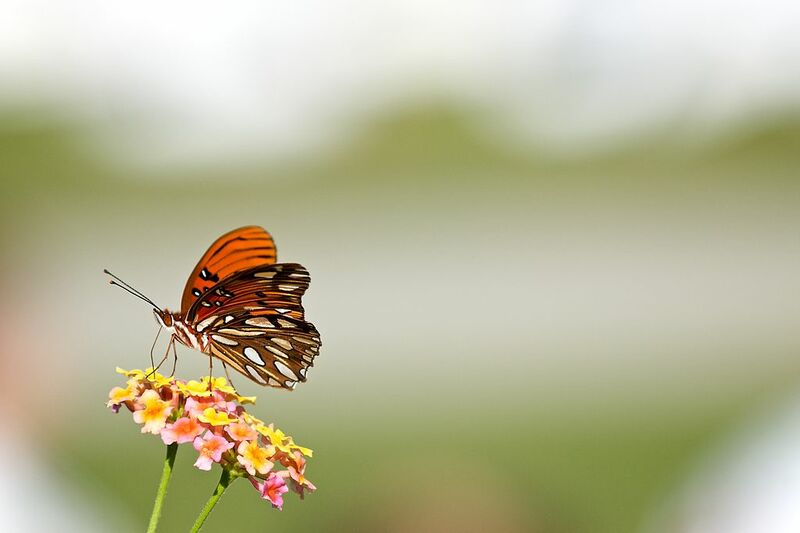 Examples include the ‘slack tide’ where the tide turns from coming in to going out, or the cocoon phase where a caterpillar turns into a butterfly. For us people, the neutral zone is very uncomfortable. People may feel apathy, disappointment, disengagement, and other unpleasant feelings. Most people want to skip the uncomfortable neutral zone. We want to go straight from an ending to a beginning. Most leaders try to push their people into new beginnings as soon as possible, without giving people the time, space, and support to successfully get through–and benefit from–the neutral zone. While the neutral zone is uncomfortable, Bridges successfully argues that this is a fantastic innovation opportunity. While productivity will remain low, the fact that a person or organization is “between trapezes,” as he puts it, means it’s a great time to change processes, innovate new solutions, and find new ways forward. Change is constant. Transitions are inevitable. How we navigate those transitions–and what we and our organizations get from them–is optional. 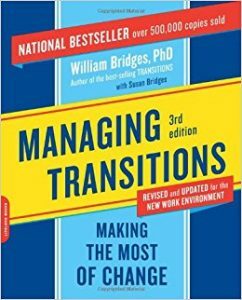 I highly recommend you do yourself a favor and read either book on transitions by William Bridges, so that you can cope with inevitable change more successfully. As always, I love getting your questions and comments. What do you wonder about these books? What did you think of them?